I'm interested but whereabouts are you please? According to their avatar they are in Oldham. Sorry Everyone now sold. Too cheap? 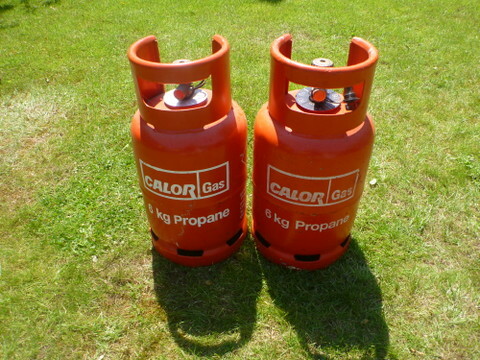 I realise that this is an old thread, but I was at my local BOC depot yesterday and he told me that they now sell Flogas propane [didn't say if they do butane ]. They will not take Calor bottles in exchange but on the other hand they don't charge a deposit on your first Flogas bottle. roli wrote: Ha you reminded me Frank of when I retired I had 3 Staff (BOC) cylinders so needed to swop to Calor, did it at a joint distributor. I found that up in the Highlands and Islands, they'll swap for any - Flogas, Calor or whatever. Yes - next door to Aldi. Didn't catch his name - he's a very nice guy though, said he had a caravan. They are very 'hobbyist friendly' there, when I first started going I was a bit apprehensive as to how I'd be treated - not being a professional welder, but I needn't have worried. If it’s Gordon when I used to visit the branch I used to envy the flexibility he had with the camper We were tuggers then, And it was probably him that started me thinking of giving up towing. He might have said 'motor caravan'? Can't make out his name from his sig on my receipt - it's just a stylised '4' - or a 'G'?